This year’s focus for the school has been student empowerment and service learning, and we continue to find ways to integrate these into our planning for 1:1. Visualizing our research has helped to process all the moving parts that go into a 1:1. At this point in the planning process we’re conducting research and building relationships with stakeholders. Students have been interviewing their peers at other schools (TAISM, AIS Kuwait, IS Dakar, UWC-SEA, SIS, UTB Helsingborg, and ICS Addis; with some help from me for Episocopal Academy and AIS Lusaka). This has required them to apply their skills in collaboration, communication and research in an authentic context. They’re also going to present their research to a forum for parents and faculty this week and get their feedback. In addition to the obvious cross-curricular applications of skills involved here, this empowers the students to express their own opinions and have a say in the future direction of the school. It has been a challenging sustaining student interest. I’ve now got a core of six committed students who are coming on Mondays after school to work. Developing a comprehensive plan is a challenge, and developing several competing proposals as I’d like to do would require more time than any of us have. More labor is needed. Somewhat coincidentally, the school has decided to run a service learning project the last week of this semester (in January), and we’ve found a way to take advantage of this. We’ve designed a service learning project for the entire senior class where their task will be to synthesize the research and feedback so far into either a plan for the secondary school or elementary school. We hope to have two competing proposals in each area. The students will need to evaluate the data collected so far; learn about professional grant-writing, budgeting, and the concept of total cost of ownership; and then write a proposal encompassing all of the components of a 1:1 program. Done right, it will bundle very authentic skills into a project that will have a very visible impact on student learning in the school – a senior gift with lasting meaning. In a previous post, I discussed how the school is continuing to reach out to potential students and parents and how one of those efforts was the production of a school promo video. Now sure, you could hire a production company to do this, but that expertise isn’t readily available in Bamako, and where’s the fun in just throwing money at the problem? So, me being the tech coordinator, I volunteered to do it. Here’s the process I used. If you use devices in your classroom for video projects, you might think it’s as simple as “pick up device and press record.” This is not the way to make anything even remotely professional. You’ll need to learn a little bit about film production and editing. I recommend reading About.com’s Classic Rules of Video Editing, the excellent Arstechnica howto Cheap Shots, and MediaCollege.com’s Shot Types page to get you started. You might be tempted to make a narrated video based around your school mission statement and if that’s the case then you should script and storyboard. We wanted the video to reflect our students voices so we decided to interview them off of a list of prepared questions and then organize the best quotes into themes. This required more time on the editing end, but also produced an organic feel. Location was a challenge – we scouted to find a decent backdrop that would have acceptable lighting in the harsh afternoon glare since we filmed between 1:30 and 2:45pm. 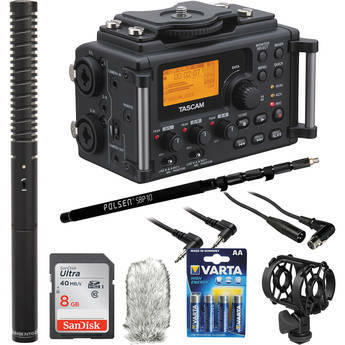 This kit from B&H gets you halfway there. Add headphones for monitoring and an Olympus E-PL3 and you’ve got a pretty solid filming rig for under $1000. We borrowed most of our equipment, so our budget was $0. We used two DSLR cameras for the interviews themselves. Two students were gracious enough to lend their personal units and their time to help us. The two-camera setup helped us switch angles during interviews to hide cuts. We used a third Olympus PEN series camera for the B-roll, although it would have been sufficient for the interviews as well. A shotgun mic was absolutely necessary to get good audio – don’t even bother using built-in mics on cameras. I borrowed one from our music teacher’s personal collection, but this kit from B&H includes everything you’ll need except a pair of headphones to monitor the audio. Use reflectors (ours were white posterboard) wherever you’re shooting, and turn off ACs and fans – you’ll notice that the audio. Also be aware of ambient temperature and battery status. A few times our DSLRs overheated outdoors, which is why we shot some interviews inside, and other times the batteries ran out. Finally, make sure you have ample drive space. I’d recommend two 1TB drives, one to hold the footage and one for backup. I worked with classroom teachers to make a list of students who we thought would be well-spoken on camera and pulled them out of class to film them. The journalism class crewed the shoots: one student on each camera, one to do interviews, and one to manage reflectors. Each interview lasted a few minutes, but we probably used no more than 1 minute of footage from any single student and we completely junked some others that didn’t speak to a compelling theme. During each interview I made mental notes of notable themes and examples, and directly after each shoot I pulled the relevant segments out of the footage and put them into the timeline of the story. As we did more an more interviews a few clear themes developed, which you can see emblazoned on the back transition slides between segments in the final video. Use prosumer or professional video software for this – I used Final Cut Pro. It took the multicam footage and combined it into a single clip, using the audio to sync them up. Saved me a ton of work. I enlisted a student working for community service to transcribe the final interview segments into English and then translate them into French since we wanted to reach a francophone audience. Above: the Google Doc we used to transcribe, translate, and annotate the interviews. He did these in groups of 1-2 sentences, since that’s all that will fit on the screen at a time as a subtitle. Then he found the timecodes for each group so that we could make .srt files, which we uploaded to the YouTube video and embedded into the downloadable .m4v/.mp4 files by reencoding with Handbrake. Finally, we added a column to denote what kind of b-roll we’d need to shoot. Shoot b-roll and add over main storyline. 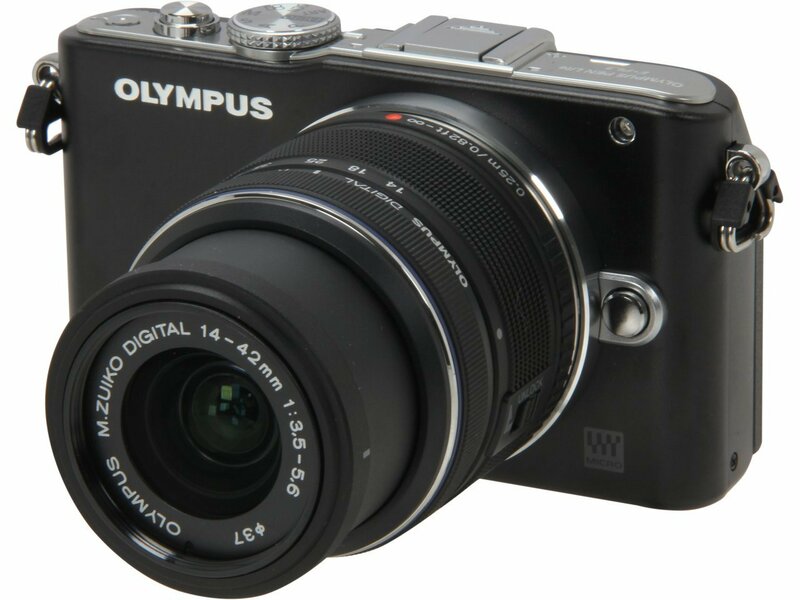 If you can’t afford a DSLR, try the Olympus PEN series. They can be had for $250 or less on Amazon. Ideally you would have the journalism class doing this throughout the year and would communicate teachers so you catch them when they’re doing their most engaging lessons, but I was on a tight schedule and ended up doing everything within the space of a few weeks. I had to mix in some still images which worked alright, but video still looks better. The Olympus PEN cameras (E-PL1 and E-PL3) that I used were great for the price – they can be had for $250 or less on Amazon. We uploaded ours to YouTube so that we could embed it on our main page. Since it’s aimed at prospective families, we also included a link under the Admissions menu. On the YouTube page we also include links to downloads in three sizes hosted on a remote server, since the internet in Mali is often too slow to load YouTube videos in real time and we didn’t want to host it on our school’s limited connection. Finally, archive your footage. We don’t have enough space anyway to keep the ~250GB of footage I ended up having, but that didn’t stop me from being frustrated when, the day after I uploaded the final video, I dropped the drive with my raw footage and lost almost everything. The mission of schools should be to make productive citizens, not money. When the two are in conflict, the former should take precedence. At the same time, insolvent schools don’t produce anything except jobless teachers, so schools need to have a clear strategic vision to attract and retain students. Our hallways are emptier now that we’re at 75% of our former enrollment. Photo by WQY. AISB needs to reach its former, pre-coup enrollment but faces many difficulties in doing so for reasons beyond its control. As one of two American schools in Bamako and the one with the closest ties to the embassy communities it is the default choice for anglophone expatriates, but that community is small because of recent and renewed political challenges. Bamako is a family posting for the US embassy, but that status was conferred after a whole crop of staffers without dependents was hired. It’s still considered a high-risk post by commonwealth countries, so we don’t have the Canadian students who used to comprise a sizeable chunk of our student body. We have thus cornered the market for the usual demographic of international students, and can’t do anything to attract more to come to Bamako. That leaves us targeting the francophone expatriate and upper-class Malian communities who send their children to the French-system schools (lycees). The goal for these communities is likely to send their children to university in France, and an American education is not an asset for that, but the Bac offered through a lycee is. Switching the school to the IB curriculum would help there, but isn’t financially feasible at the moment. The lycees are also much cheaper than our school – the most expensive one is just half of our tuition, and this is a pattern seen in other francophone West African cities like Abidjan. At the same time, we do offer a distinctly rewarding educational experience. This past year we’ve had three students come to us from the lycees and both they and their parents are extremely happy with the decision. 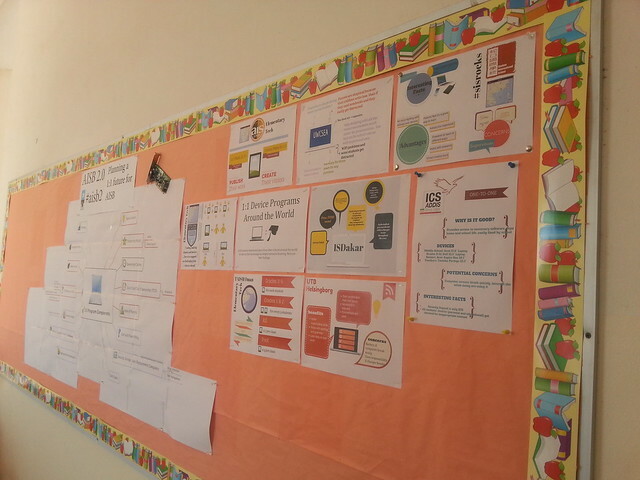 They like the collaboration, creativity, and individual care of AISB’s learning environment. So how do we spread the word? Part of our communication plan was to create a promo video for the school to showcase why it’s unique in Bamako. Since one of the audiences was the francophone community, it’s been subtitled in French – see the CC box in the bottom-right once the video starts playing. More info about that process to come in the next blog post. The other piece is a grassroots (for a lack of a better word) campaign to promote the school. We’ve outsourced design of business cards to a student in my tech modules class with the idea that our faculty and certain parents can use them to introduce themselves to families we meet at social functions and public events and give them a personal invitation to tour the school. The cards will highlight what we think makes AISB a uniquely valuable educational experience. But aside from that, we don’t have a well-oiled PR machine. Buying billboards, print, and media advertisements would be one route, but I’m not convinced that they would reach our target audience because expatriates and upper class Malians probably follow international outlets. Buying Google AdWords targeting French expatriates moving here might make a difference. We need a Strategic Committee sponsored by a board member that works with the PTO to find the best way to reach the francophone community. Expatriates who are moving to a new – whether francophone or not – tend to seek out schools more than schools need to be actively reaching out to them. We need to make it as easy as possible for those prospective parents to find us. And for upper class Malians, we need to find a way to reach them on their terms and then provide a compelling reason to try a new avenue of education for their children. What I haven’t covered here is how programming can differentiate a school. Our academics are already great. Building a pool might be a loss-leader that appears to be an unprofitable investment but tips the scales in favor of sending a child here. More opportunities to participate in WAISAL and other athletic/activities exchanges in the region would also help, as would continuing to strengthen after school activities and going to a 1:1 program. But that’s a whole other topic.